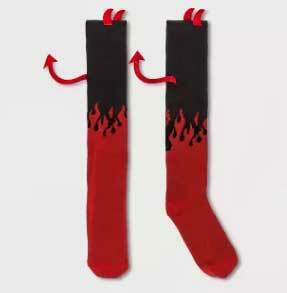 Well… you get the point. 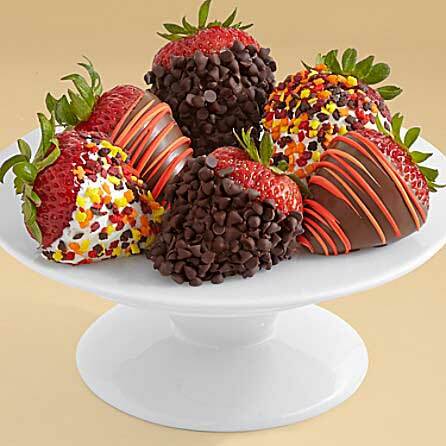 That goes without saying, but some were quite specific including Reese’s pumpkin cups, fruit snacks, gummy bears, jumbo candy bars (because the regular size ones are not enough), just a mixture of candy. 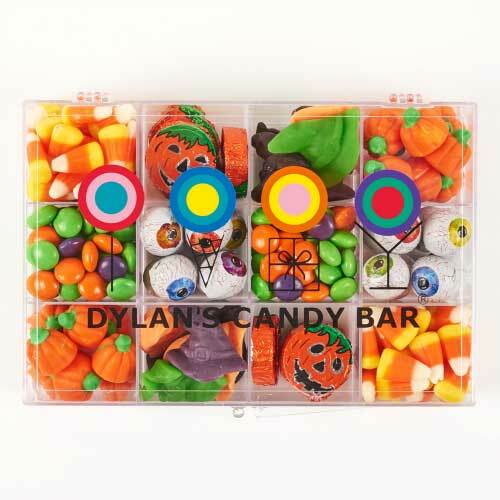 You can put it together yourself or, if time is not on your side, try Dylan’s Candy Bar which has everything from a Missing Body Parts in a Halloween Coffin Box, to the traditional candy corn bag of assorted candy corns, chocolate covered candy cake pops and chocolate dipped pretzels. 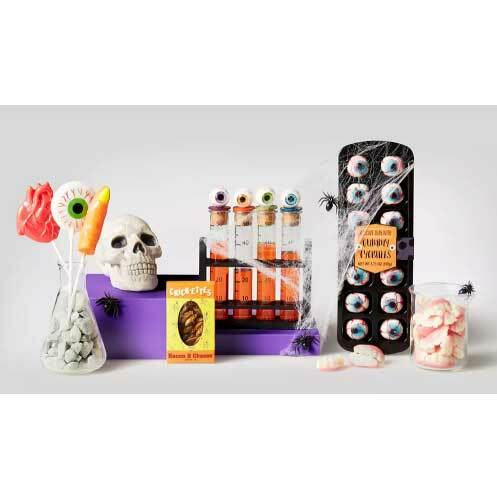 Target has your traditional candies, as well as, themed Oreos and novelties, and you can save $2. With the purchase of 2 select bags using the promo code CANDY. 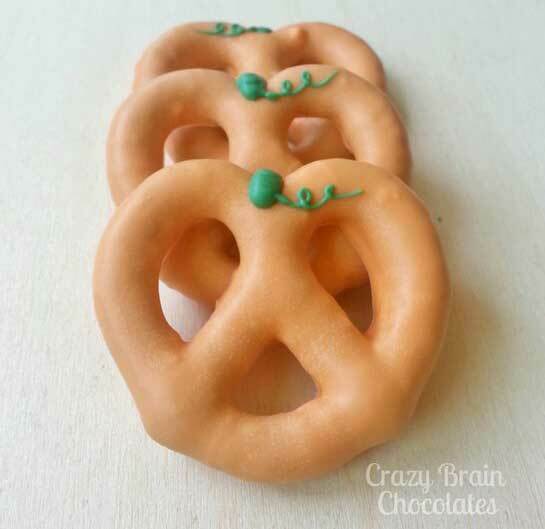 It’s all about the pumpkin spice whether those are cookies, cupcakes or coffee… pretty much pumpkin spiced anything. 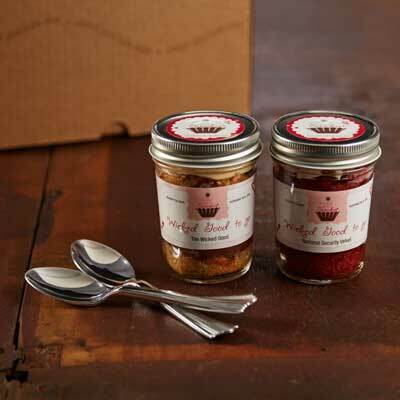 Last year, I sent my daughter (with some included for her roommates), Cupcakes In A Jar. I specifically got her pumpkin spice, caramel apple streusel, and chocolate pumpkin. 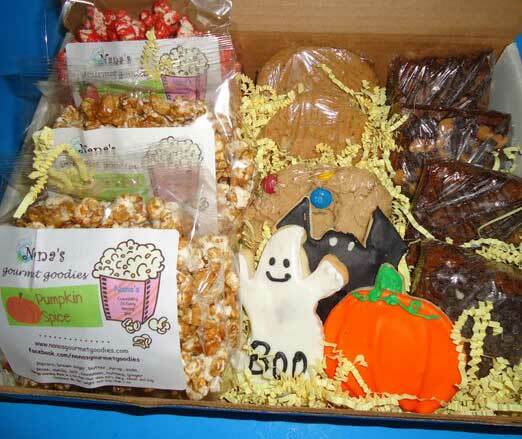 We love this adorable Halloween Care Package filled with gourmet popcorn, brownies, iced Halloween cookies. 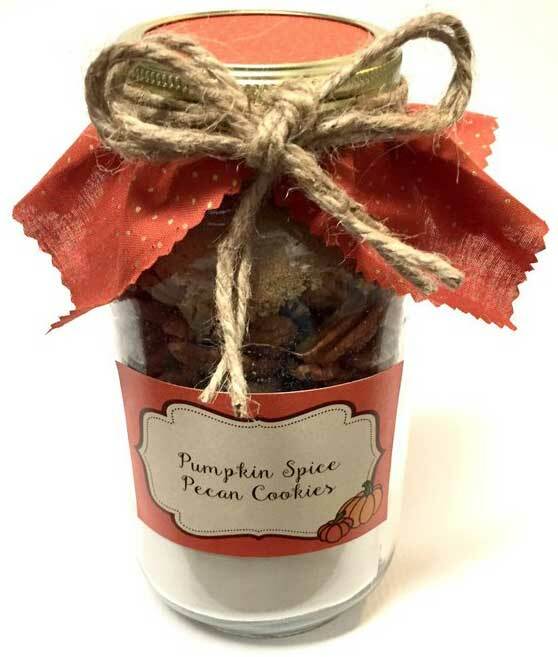 Order this Gourmet Pumpkin Spice Pecan Mason Jar Cookie Mix which is fun for them to make without having to buy all the ingredients. 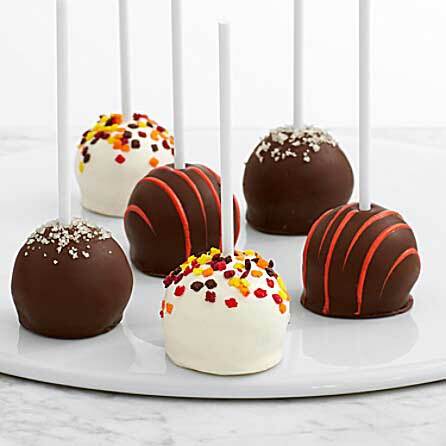 And, you can’t go wrong with Gourmet Dipped Autumn Strawberries or Cake Pops. 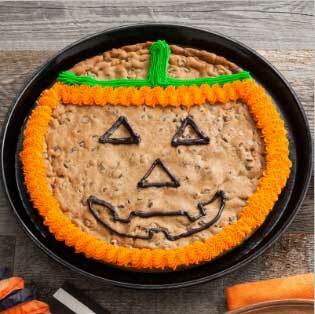 Or try this JackOLantern Cookie Cake or Haunted House of Treats. 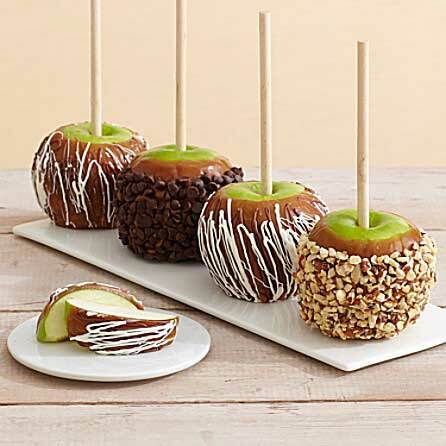 And just when you think you’ve sugar shocked them enough; students feel nostalgic eating Candy Apples. 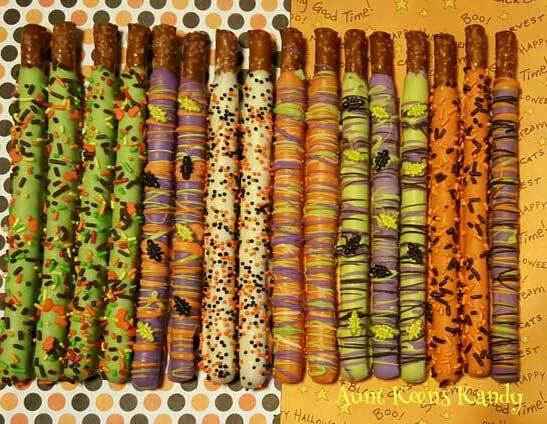 Finally, students appear to love all things autumn (even though Florida never truly has an autumn) welcoming in the season with these requests …. 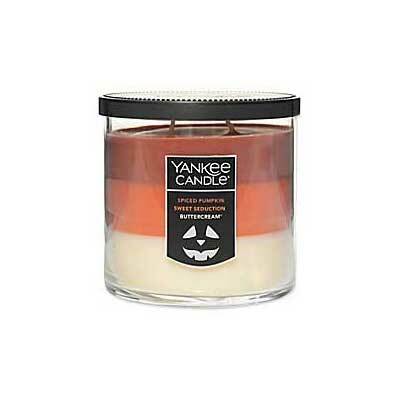 Set the mood for Fall with Pumpkin or Fall Scented Candles. 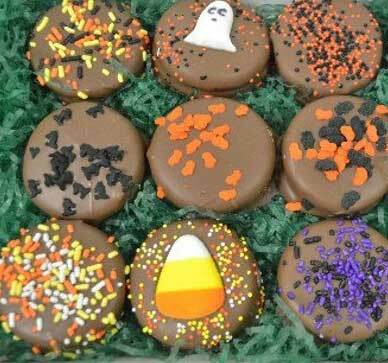 Finally, if Halloween sneaks up on you, you can order from some amazing local bakeries like Midnight Cookies will deliver the most amazing cupcakes (12 cupcakes for $20, plus a delivery fee), Gigi’s Cupcakes. You can also have a cake delivered by Publix through Instacart or Shipt. 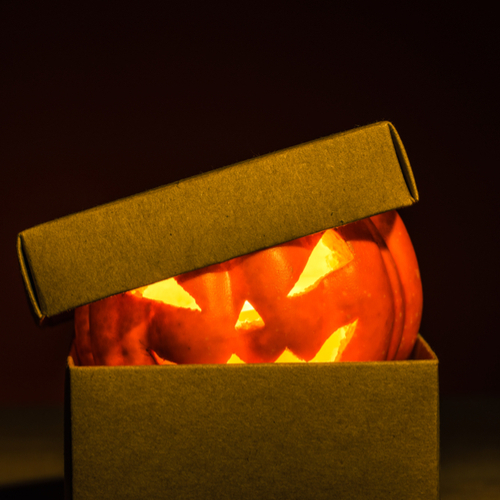 Read also our blog on delivery companies here to see what else you can have sent. 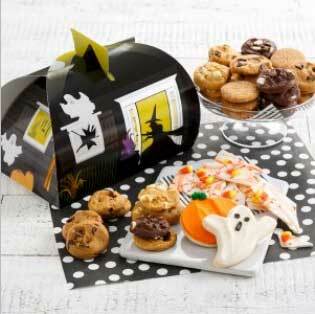 or order a themed cake or cookies from Publix and have it delivered.